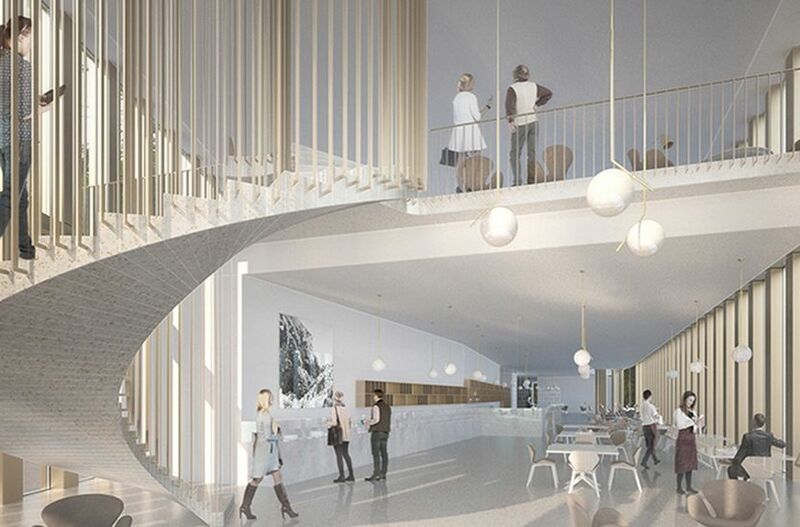 Our Berlin office, B+P Reiner Becker GmbH, has been given the task of building an extension for the renowned Max Planck Institute of Microstructure Physics in Halle, Germany. The institute, situated on Martin Luther University's Weinberg campus in Halle an der Saale, is to be redensified. For the institute's building, an extension structure is to be built, including physics-oriented and technical laboratory areas, experimentation areas with clean rooms, and offices. 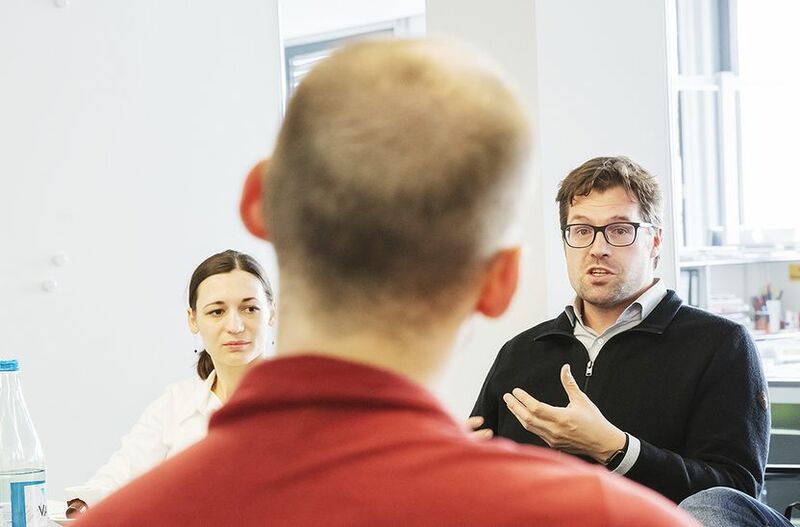 The research conducted at the Max Planck Institute of Microstructure Physics provides new findings in complementary multidisciplinary research fields from the domains of solid state physics, material sciences, information technology, photonics and neurophysics. We look forward to this complex and fascinating task, and congratulate the team! As architects and shapers of our environment, we at Burckhardt+Partner have a special responsibility to contribute toward an intact world worth living in – for people alive today, as well as for future generations. This is why sustainable construction is an important aspect for our company, anchored within our policy. 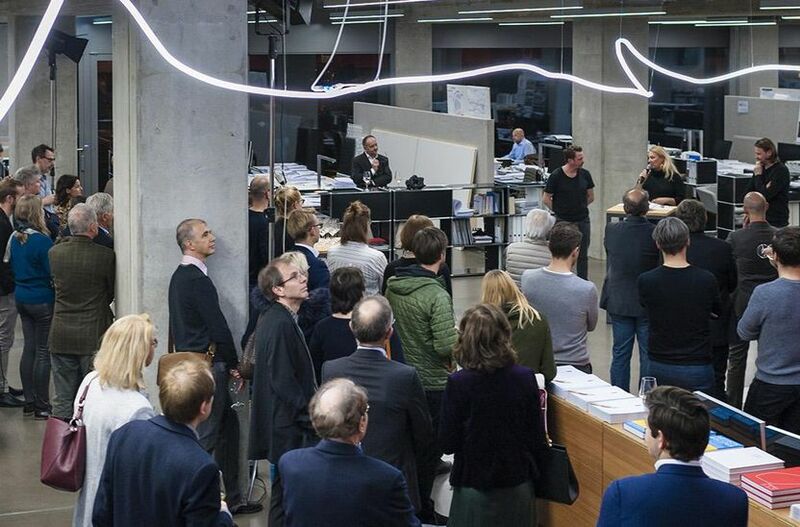 In the "Fokus" supplement from the newspaper Tages-Anzeiger, read how Burckhardt+Partner has put sustainability into practice in three projects. Our architects in Berlin, B+P Reiner Becker GmbH, have won the EU-wide competition for the new teaching and learning center at the RheinMain University of Applied Sciences in Wiesbaden. The jury praised the winning design, saying it presents a building that has a workshop-like nature and really invites students to communicate. The inner structure and division of space in this compact new four-story building with 3900m² of utilizable area offer very high flexibility. Here, students from various disciplines will find excellent conditions for learning. The new teaching and learning center will enrich academia in Wiesbaden. The multi-stage full-service competition's winning project was presented during today's press conference at Aarau Cantonal Hospital (KSA). 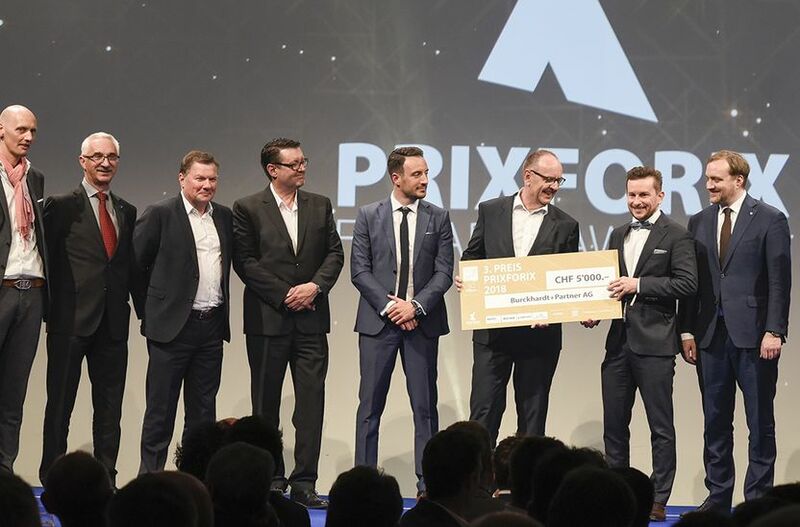 The "Dreiklang" (Triad) project, submitted by the team from Burckhardt+Partner AG and wörner traxler richter, was named the winner by the KSA Board of Directors, confirming the competition jury's decision. Dreiklang – three dimensions in harmony. The building is divided into three main sections: outpatient clinics, functional areas and inpatient wards. In turn, as the centerpiece of the building, a four-story boulevard flooded with light connects the various usage zones. Short routes for staff, patients and visitors guarantee functioning workflows. The enlarged and redesigned hospital park aids the healing process. Along with the whole planning team, we look forward to continuing our work on this fascinating and multifaceted project. 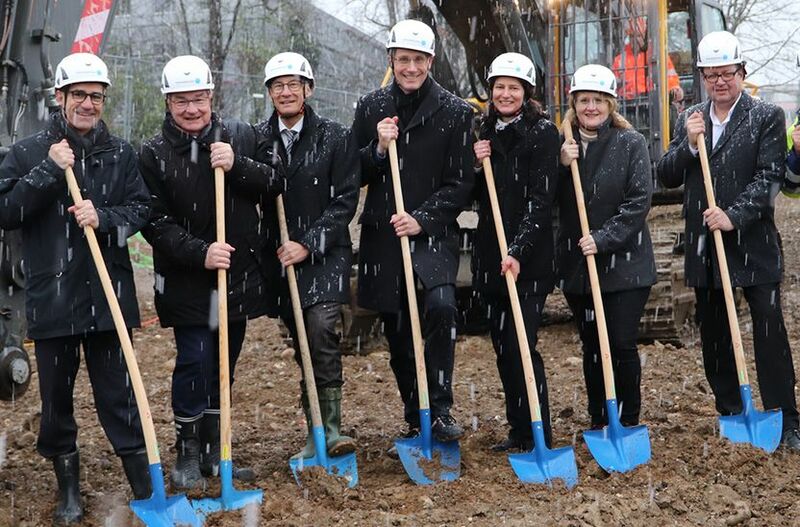 The ground-breaking ceremony for the laboratory building to be newly built at Aarau Cantonal Hospital (KSA) was held on April 4th, 2019. In this new laboratory building, the Institute of Pathology, with its autopsy department, and the Institute of Laboratory Medicine will be brought under one roof, enabling improvement of operational processes and utilization of synergies. The architectural office Burckhardt+Partner has planned a flexible-use laboratory building for around 200 staff, with a modular building structure that can promptly respond to future changes. Completion of the KSA laboratory building is scheduled for 2021. This is what we are good at: together with our clients, we develop ideas and put them into practice. The new SKAN headquarters are a prime example: Burckhardt+Partner guided the whole process, from the planning to the site evaluation, right through to the search for investors. 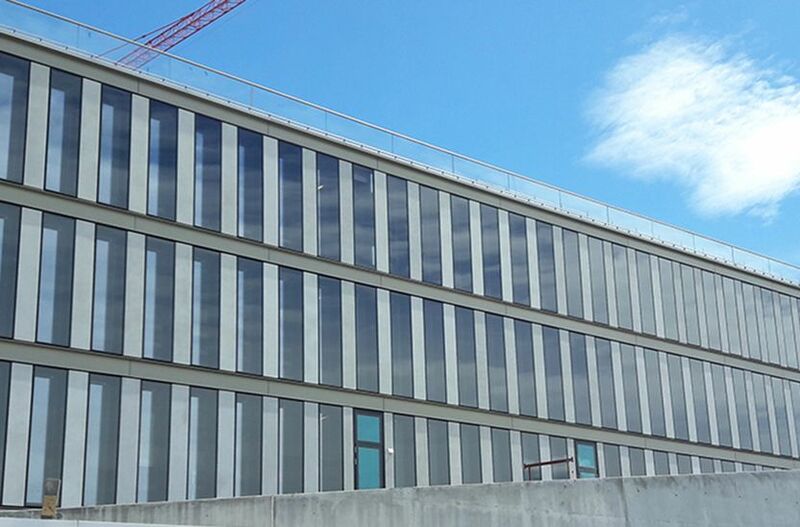 The tendering procedure for realization of the Department of Biomedicine's new replacement building is finished: The University of Basel is awarding us the contract to proceed with this work. 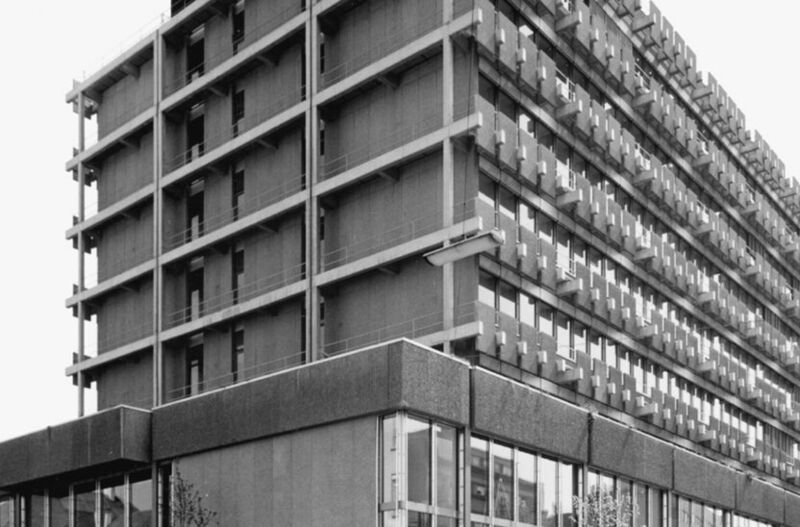 We already realized the building's predecessor, the so-called Biozentrum, back in 1972. 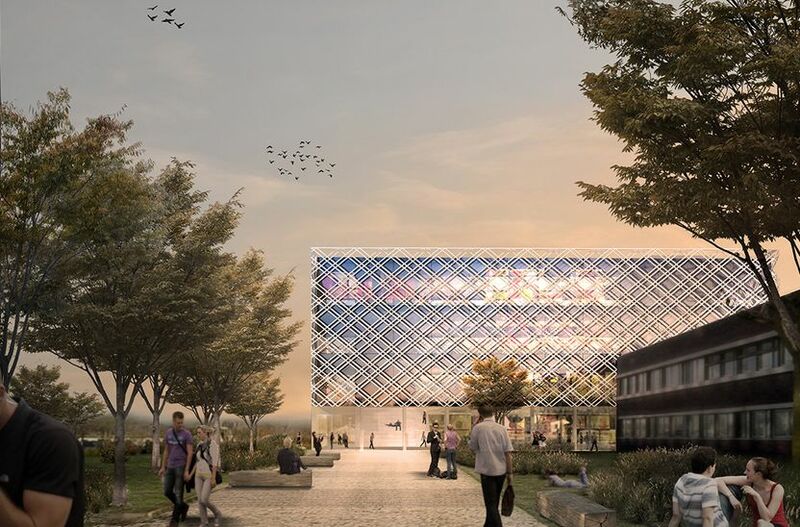 The University of Basel is convinced that we will successfully manage and implement this architecturally high-quality and technically complex project. 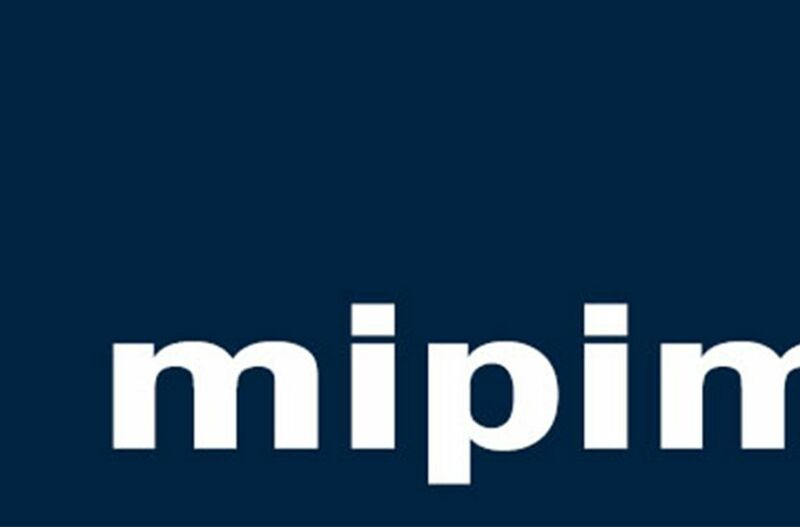 Tomorrow we are in Cannes, France, at the MIPIM - one of the biggest property fairs worldwide. 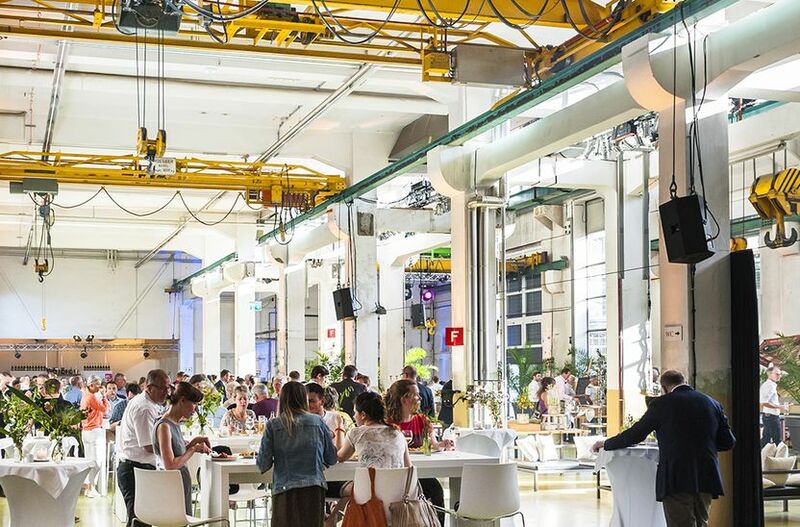 20,000 visitors are meeting up with architects, urban planners, finance institutes, estate agents and delegates of cities and regions from all over the world. Our Western Switzerland offices are present at region geneva's stand. 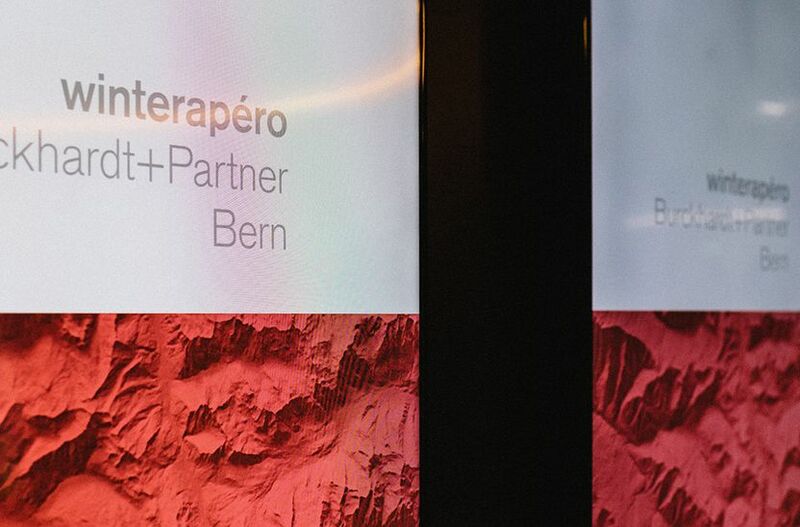 For what is now already the eleventh time, the Burckhardt+Partner Bern winter reception has been held on the premises of the Westside Bern Brünnen cinema. 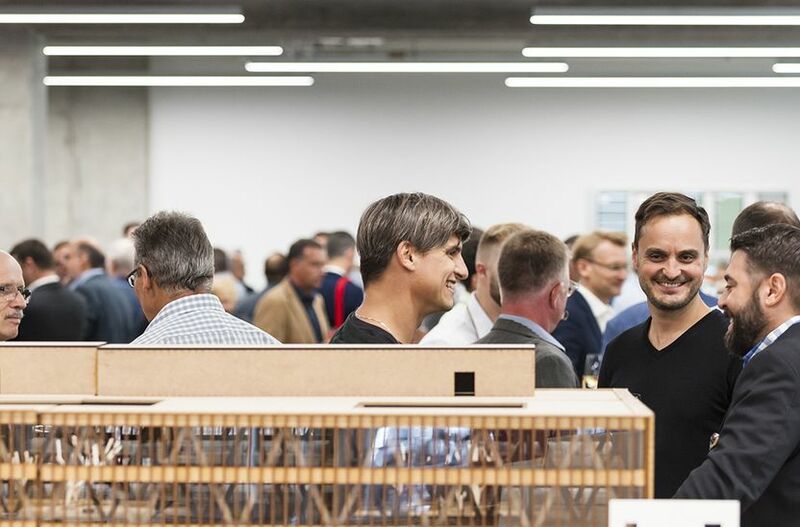 Oliver Schmid from the company management gave a presentation that guided the approximately 150 invited guests through national and international architectural projects from the impressive portfolio of all Burckhardt+Partner branches in Switzerland and Germany. Digitization was the central theme, which served as a common thread throughout the event. Be it with an edible spread for appetizers from the 3D printer, or with two impressive speeches on digital fabrication, the interaction between digital technologies and traditional artisanry was successfully demonstrated. 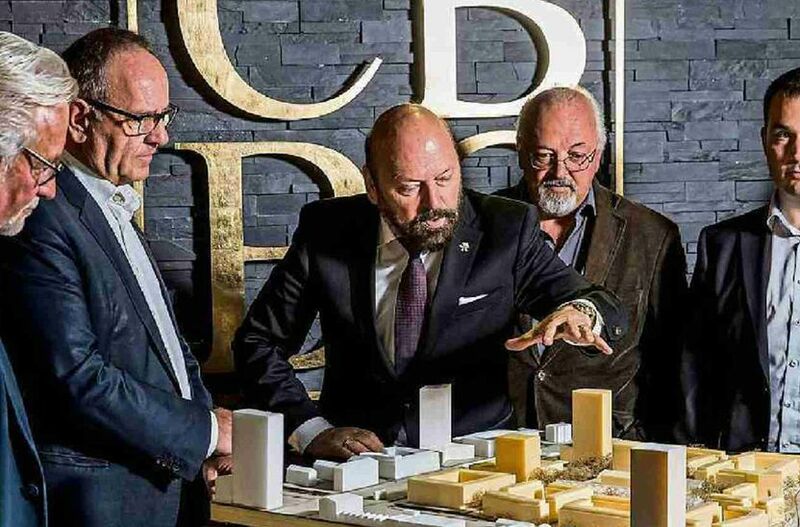 On the basis of the Pocket Park project, Claudio Künzler, CEO at the Burckhardt+Partner subsidiary digitalwerkstatt, explained the generative calculation of soil structure for the reshaping of the site in Kaiseraugst. In reference to practical examples, ETH Zurich researcher Matthias Bernhard illustrated how architecture today can be "programmed". Browse through the photo album! 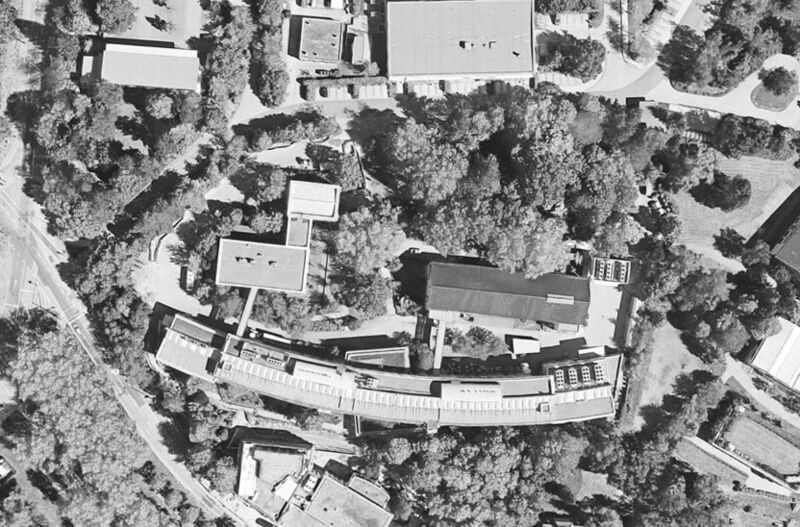 Under the motto "Swiss architecture from 1920 to today", the Lucerne University of Applied Sciences and Arts (HSLU) has set up an online architecture library. All students at the HSLU School of Architecture and Institute of Interior Architecture are involved in this academic project. The library is an image database and encyclopedia, which will constantly keep growing. At present, its focus is still on the region Central Switzerland: Burckhardt+Partner is represented by the Roche high-rise in Rotkreuz. 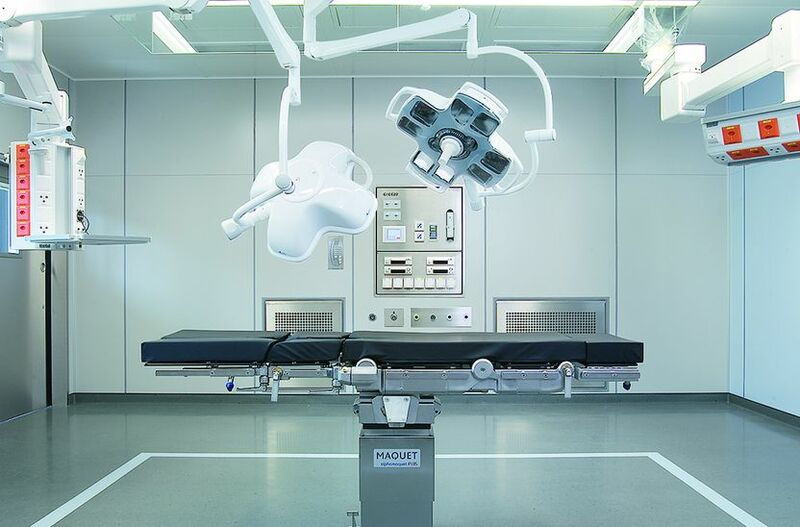 On Saturday, February 9th, 2019, from 10 am to 4 pm, the hospital Spital Thun is to hold an open day, enabling the general public to take a first look at the comprehensive renovation work that began last year. On the tour, visitors can now view the first in-patient ward, as well as the intensive care ward. These wards were installed as a wooden extension structure on the terrace of the pre-existing first floor. The other three floors are also to be converted while the facility is in operation, which poses a major organizational challenge. They are expected to be finished by 2022. The client, and Burckhardt+Partner as architects and hospital planners, will attend the open day in person and gladly answer any questions. 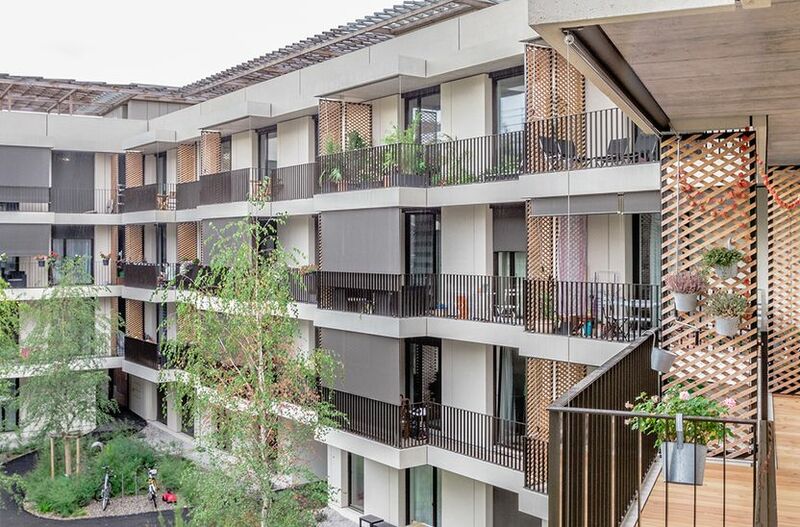 "Cooperative residential construction is about providing a platform for life – and is not an end in itself," says Andreas Herbster, Managing Director of Wohnstadt Basel. What constitutes a good platform? In our Agenda 101, you can learn more about the new “Am Bachgraben” construction in an interview. We are attending the Swiss BIM Congress 2018! 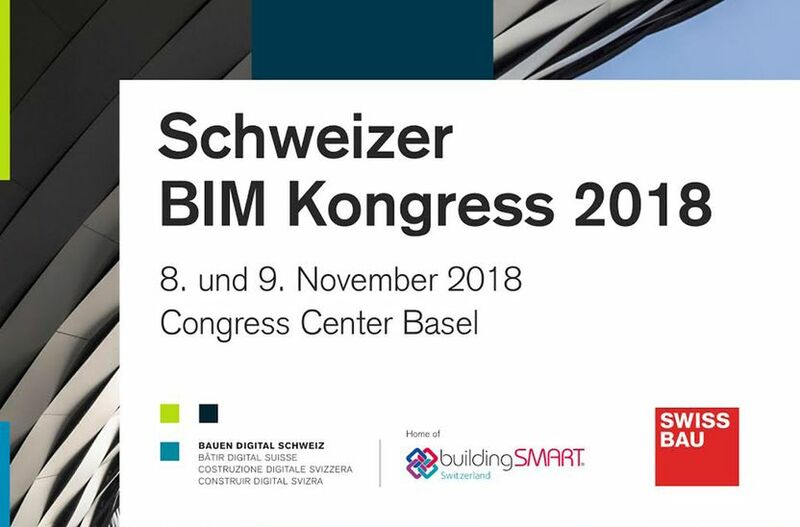 On Thursday, November 8th, our BIM experts will be speaking and answering questions at Congress Center Basel. They will provide insight into projects and explain their experiences with digital collaboration. 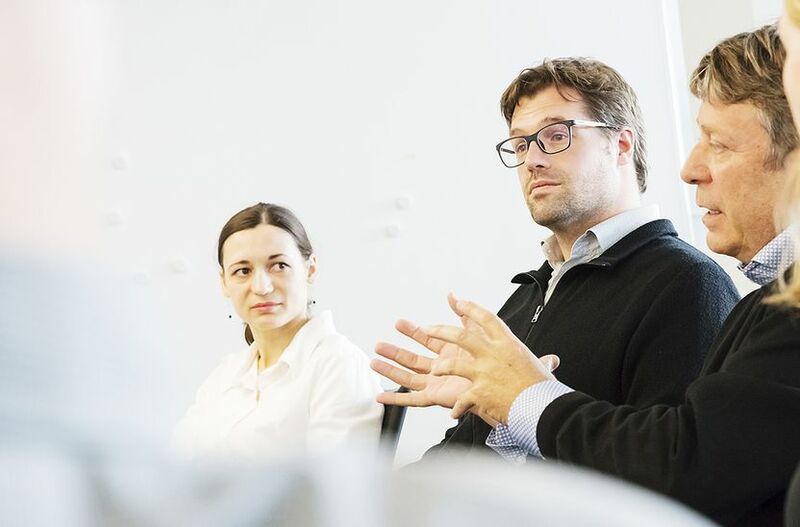 On the following day at 2:30 pm, our specialists Philipp Seer, Head of BIM, and Oana Bucerzan, Head of Digital Lab, will be giving a presentation called "From the Sketch to Digital Fabrication", to explain that, even in the age of digital transformation, the architectural concept is still the basis for good architecture. One hour later, at 3:30 pm, the project team will report on everyday work in practice with new tools and options, taking the Upper Valais medical center in Brig as an example. 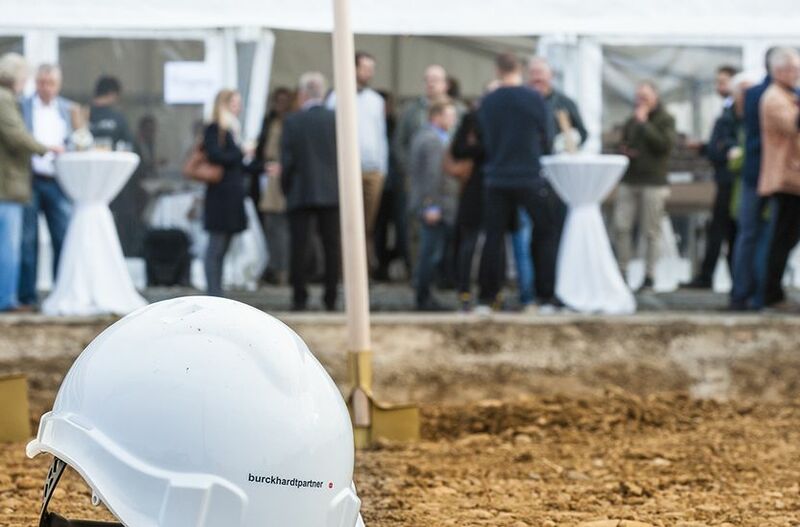 On October 24, a groundbreaking ceremony saw the start of the construction phase for SKAN AG’s new building in Allschwil, in the presence of prominent representatives from business and politics such as cantonal councilor Dr. Pegoraro. SKAN AG is a market leader in cleanroom equipment and the construction of isolators for the pharmaceutical industry. Suva made an appearance as an investor in the construction project. Four above-ground storeys will house fittings, the in-house SKAN Academy, a laboratory and office space. Construction is scheduled for completion in 2020. According to our most recent customer survey, it seems that, even in the age of digital inundation, content counts and the haptic quality of a paper leaflet has not lost its appeal. After 25 years, the quarterly insight into life at our company and into our projects is still one of the post popular elements of our communications. 99 agendas, 99 brief glances at the latest goings-on: in retrospect, they have become a diary covering 25 years in the history of our sector and company – a diary that we have browsed through for you, to celebrate the 100th issue. All these terms belong to the topic digitalization. 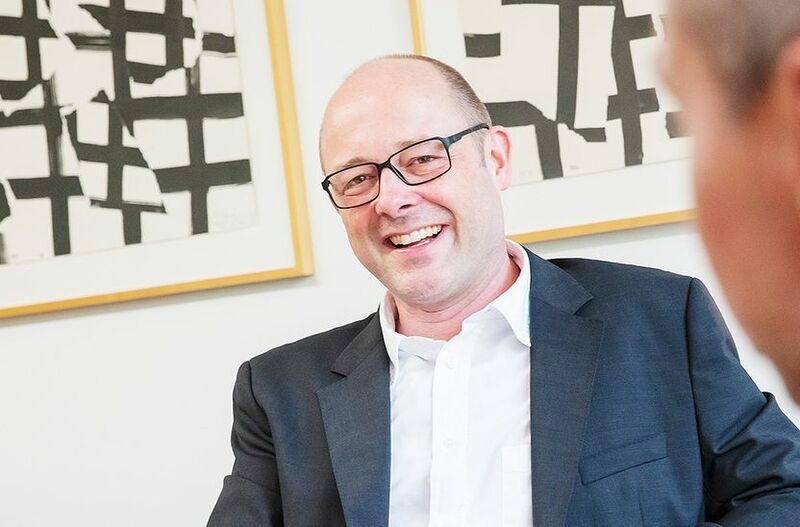 Find the Interview with our member of the company management Wolfgang Hardt. Virtual realities, one-to-one conversations and excellent catering made this year's summer apéro another successful event, despite the already autumnal temperatures. Browse through the photo album here. In Hamburg's HafenCity, preparatory work for an extraordinary project is getting underway: the German prototype of the so-called Hex House. Within eyeshot of the Elbe Philharmonic Hall, a structure that can provide living space very quickly and with simple means is being built for the refugee aid association Flüchtlingshilfe HafenCity e.V. 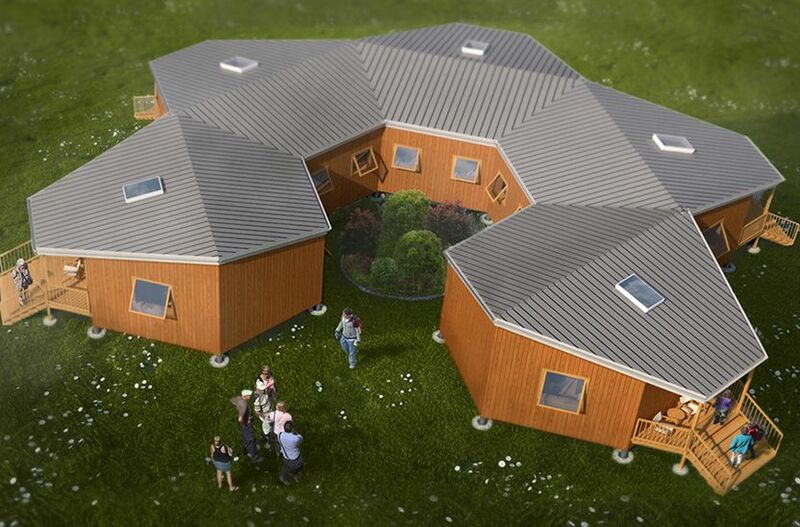 The houses' concept and design come from the non-profit organization Architects for Society, which is registered in the US. Oliver Henninger, who joined us over 10 years ago, has succeeded Philipp Brühlmeier as a member of the company management team as of July 1st, 2018. With over 20 years of professional experience in Switzerland and abroad, he has all the skills necessary to master his new tasks. The board of directors and the company management team look forward to working with Oliver Henninger and wish him a successful start! 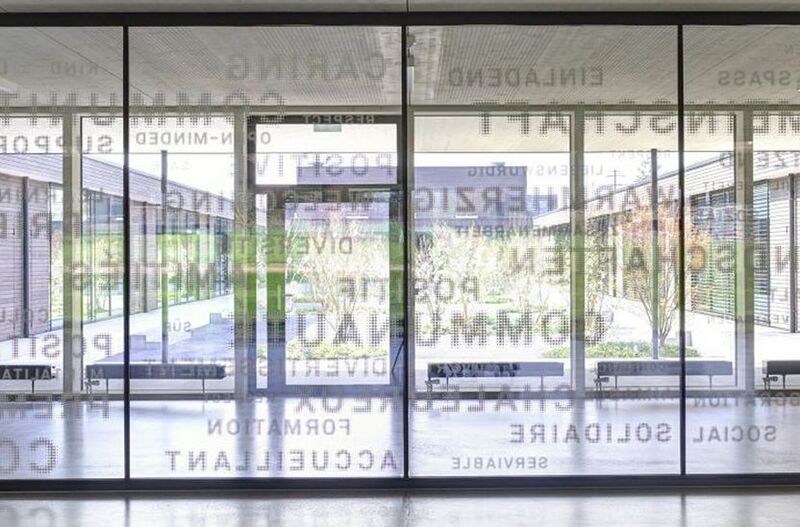 Ten years after completion of the research building Biopôle III, we have been granted the privilege of realizing the northern section of the Biopôle campus. 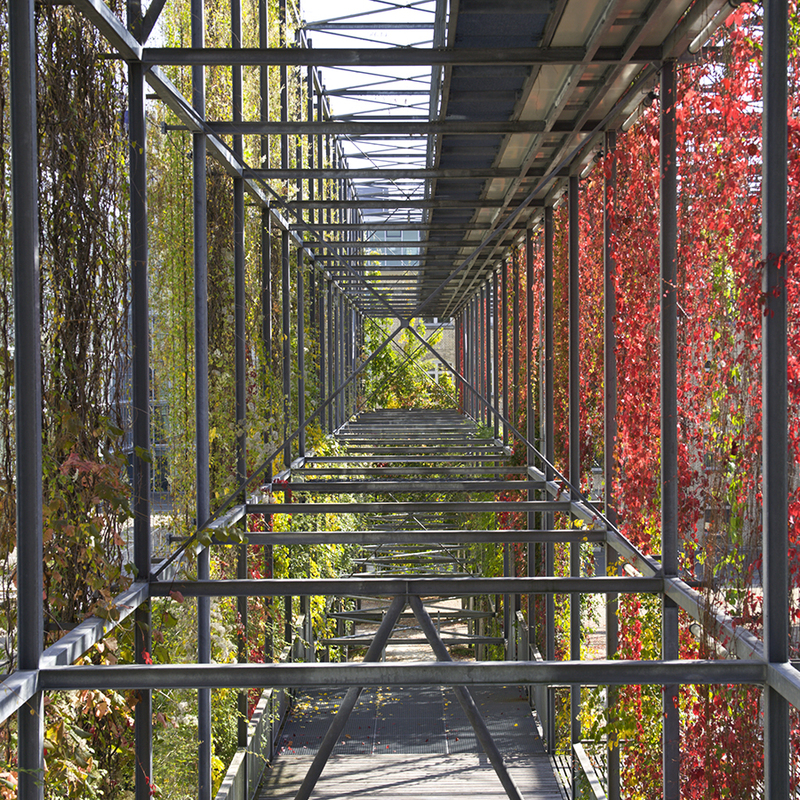 In this edition of Agenda, discover our project at the interface between city and countryside – at a location where the world of science and its players enter into an exchange. We acquired the basel-based digitalwerkstatt GmbH at the beginning of June. This is part of a move to further expand our digital expertise and set new standards in digital planning and construction-related services. 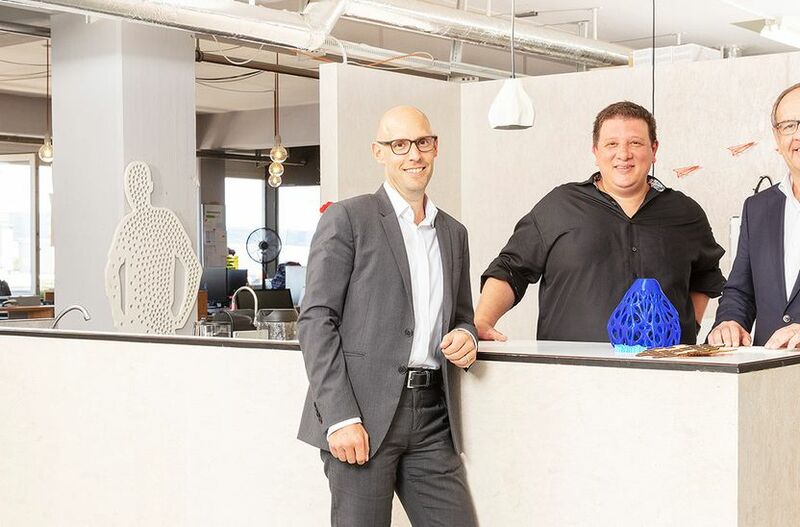 digitalwerkstatt is an interdisciplinary team of designers, material specialists and 3D printing experts founded by Claudio Kuenzler in 2010 to bridge the gap between creativity and industry. It offers services in digital design and digital fabrication with 3D printing, laser cutting, 3D industrial scans, design, architecture, advertising, research and medicine, physical models, prototypes, individual productions, small-batch productions and design objects. We look forward to collaborating on new projects! On 6/19/2018, the Muttenz municipal assembly approved the new neighborhood planning provisions for the Hagnau/Schänzli area in their entirety. A clear majority of the voters in attendance (220 yes, 60 no, 12 abstentions) thus accepted the proposal, which is based on a cooperative planning process over several years. 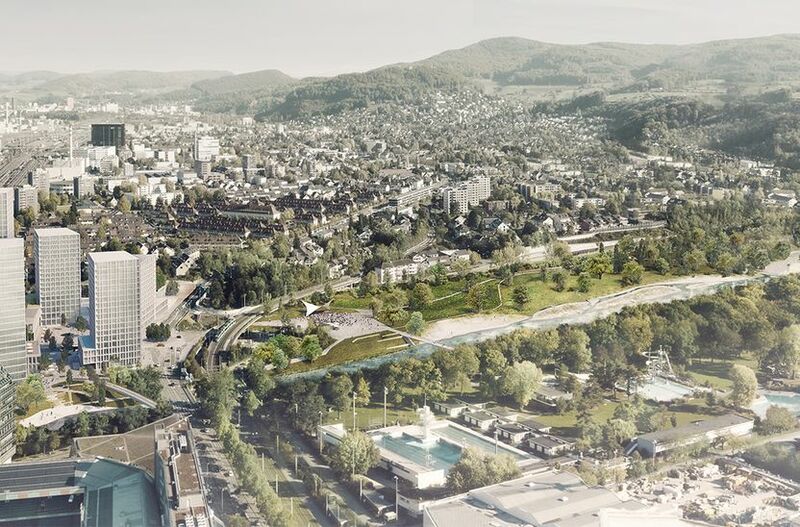 Alongside us as architects, the municipality, the site owners, the various communal and cantonal partners, and the local population were involved. This broad-based approach and the carefully coordinated solutions for the Hagnau West, Hagnau East and Schänzli sites convinced those attending the municipal assembly. The new neighborhood plan envisages six harmonized high-rises on the Hagnau sites, with a broad and dense mix of uses. The Schänzli site will remain undeveloped and is to be converted into a nature, leisure and recreation area beside a revitalized Birs River. We are now looking forward to the further development of the East site, commissioned by HRS Real Estate AG. The participation in SIA Days with the International School of Berne was a success! We are delighted that interested visitors seized the opportunity to take a look at this private school`s new building on June 16th and 17th. Represented by the client PSP Swiss Property, we have received the Faktor-5 Jury Prize, funded by Stokar+Partner AG. For over ten years, sun21 has been awarding this prize as a way of honoring outstanding contributions to sustainable resource management and toward achieving the goals of the 2000-watt society. 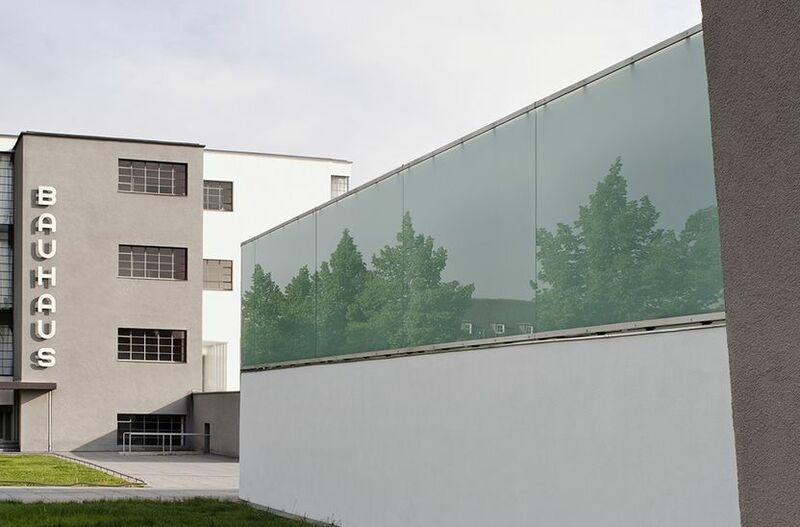 For the extension of Bellikon Rehabilitation Clinic, the clients set three main objectives: to provide additional space, to develop a modern architectural solution, and to realize a building complex that is future-oriented in terms of technology and sustainability. You can learn more about it in the new Agenda. The inauguration will be celebrated with an "open day" on Saturday, June 16th, 2018 – perhaps you will have a chance to attend. On June 1st, with due ceremony, we said farewell to Peter Epting, previously Chairman of the Board of Directors, after an outstanding 50-year career at Burckhardt+Partner AG. He was passionate about residential construction and helped it to flourish again at Burckhardt+Partner after a long period of stagnation. He also saw the potential of project development at an early stage and promoted it accordingly. Today, project development is a key cornerstone of our success. Thank you very much, Peter! In Witikon, we are constructing 26 appartments in four compact buildings for the Vinzenz-Community. The topping-out ceremony for the project that includes appartments for students was celebrated last friday, march 25. The project is to be handed-over by the end of 2018. We have two competition wins to celebrate at once! 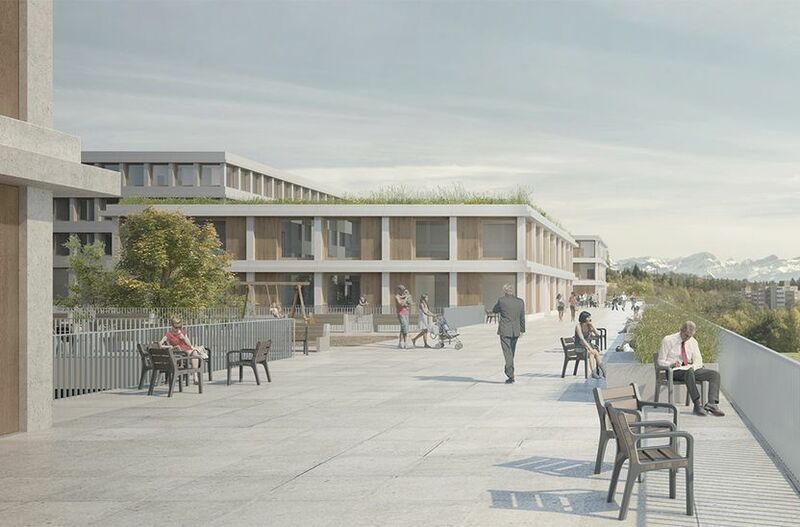 We will have the pleasure of renovating Collège Rousseau in Geneva and increasing its height, as well as adding an approximately 40,000 m2 extension to the Biopôle campus in Epalinges. 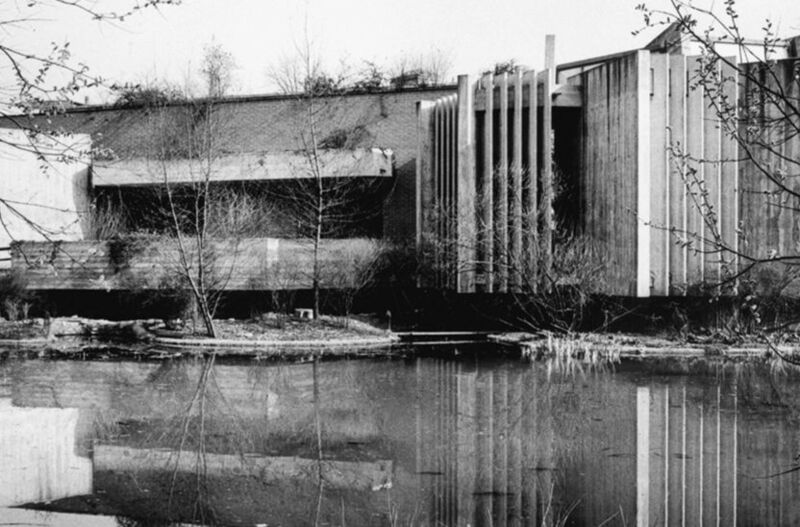 Collège Rousseau is situated in the Genevan neighborhood of Petit Sacconex and was built in 1969 by architect Alain Ritter. 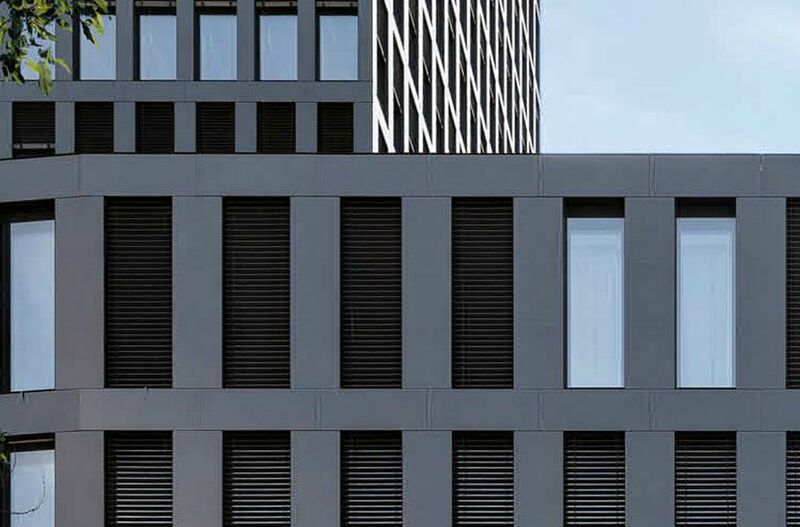 Our added floor is more of a lengthening of the top floor: a new wooden structure with a facade of prefabricated concrete elements incorporates the existing facade's motifs. 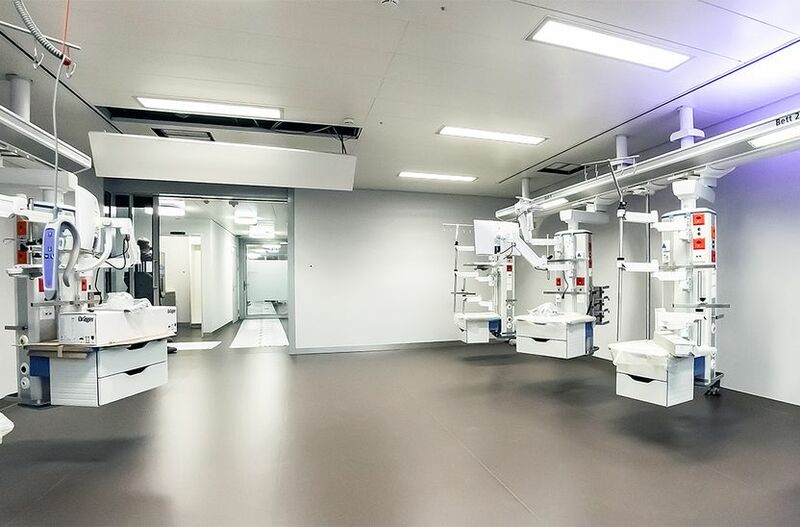 This new story is devoted to science, with laboratories and a multi-purpose room. 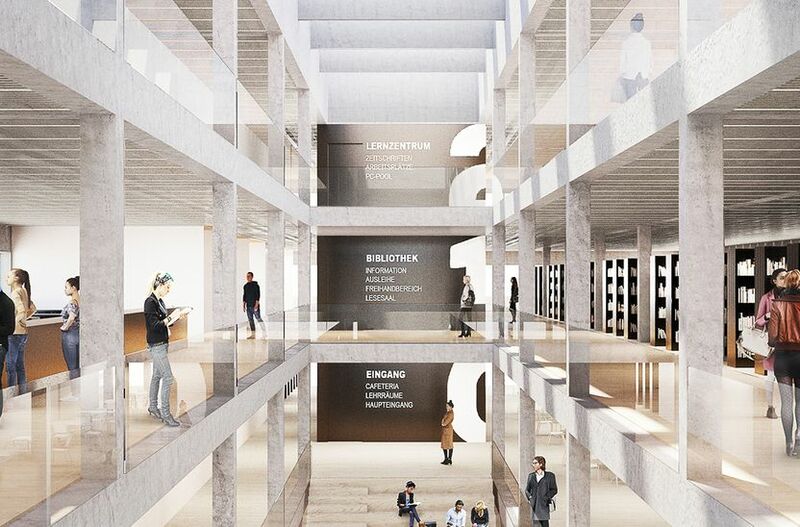 A new cafeteria is to be created on the "bel étage" and connected to the courtyard; a new documentation center is to be installed on the basement floor. On all floors, the classrooms are to be rearranged and renovated. 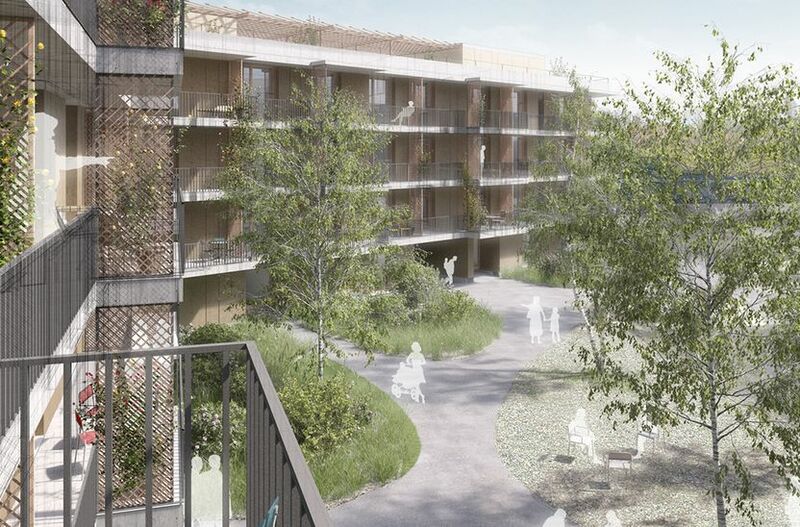 In Epalinges, we will complete the Biopôle site together with general contractor HRS. The competition was held by the Canton of Vaud and Biopôle SA (for whom we already built a laboratory building on the same site in 2010). The construction project is divided into four sections and encompasses the Ludwig Institute for Cancer Research (LICR), the Lausanne University Hospital (CHUV) Center for Personalized Medicine and Immune Engineering, the Biopôle Research Center, and a parking garage with 525 parking spaces, as well as public functions, such as reception, children's day care center, restaurant, café and fitness center, which are to be accommodated in smaller "edicules". 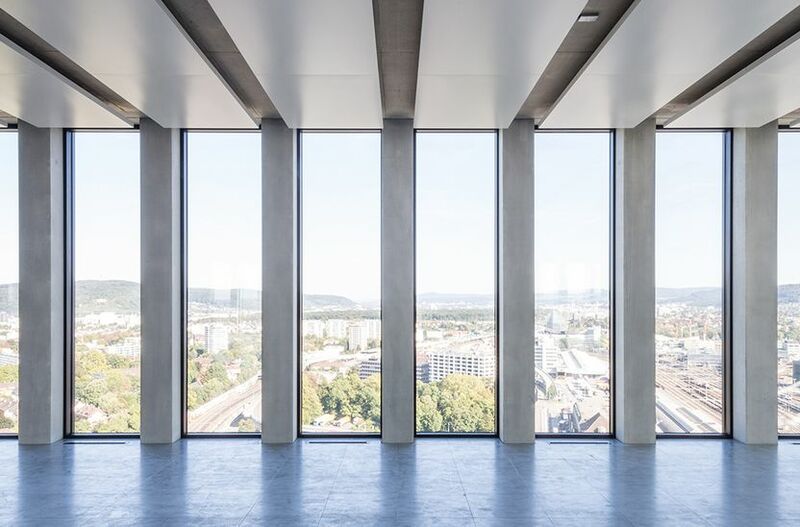 The first Open House Basel was a resounding success and we were there with our project Grosspeter Tower. 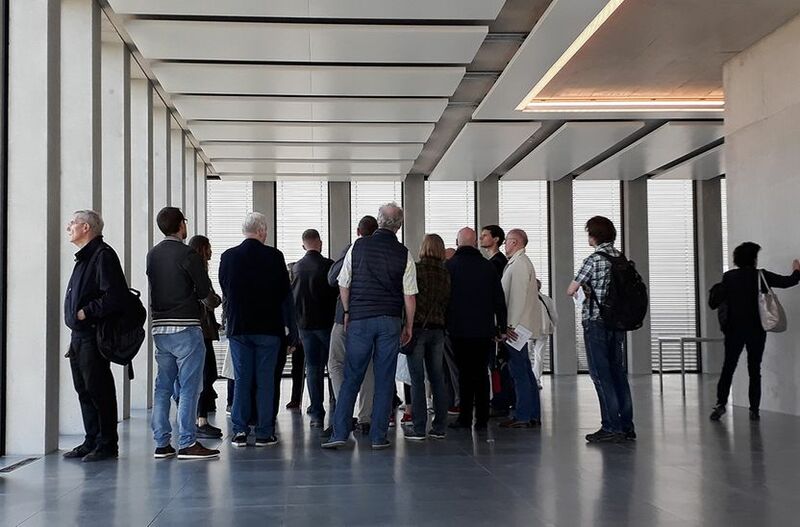 Over 400 visitors took a look at this tower with its unique solar facade and enjoyed the view from the 22nd floor. The SRF radio report from May 5th can be heard here. 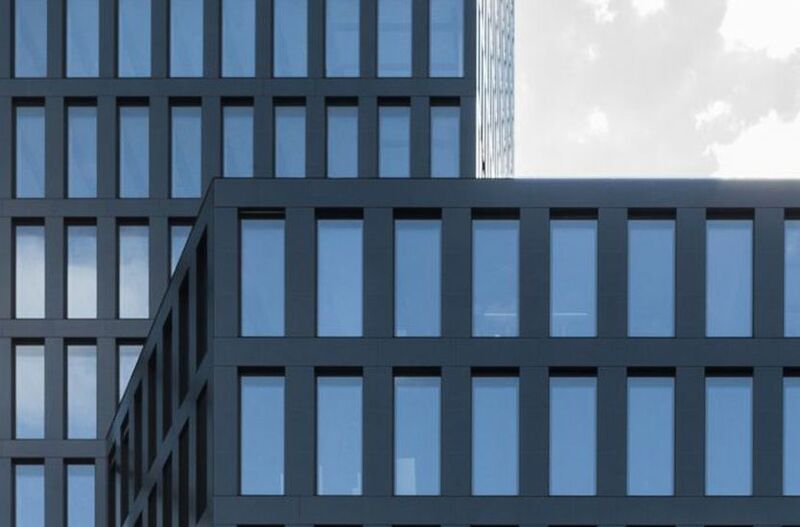 Another prize for our Grosspeter Tower: we have secured 3rd place at thePrixforix facade awards. We are delighted to have won the competition for the extension of Clinic Birshof in Münchenstein. 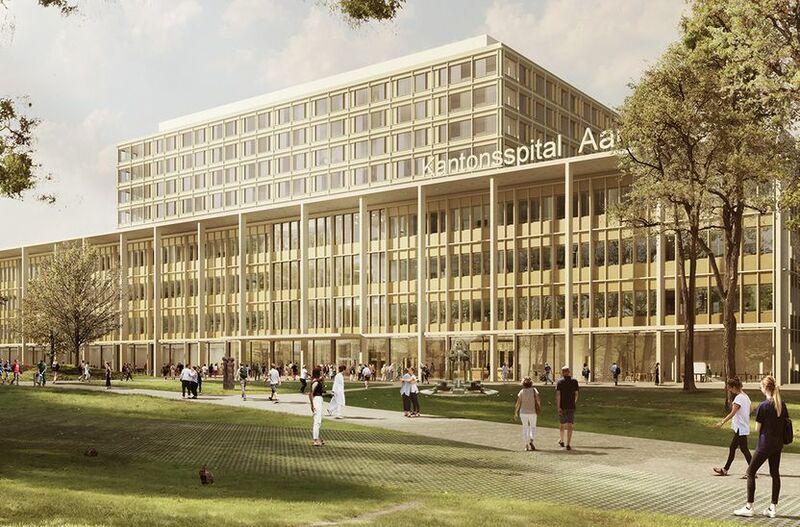 It is envisaged that the new building will encompass the in-patient wards and the expansion of surgical capacity, along with the associated diagnostic and gastronomy units. Welcome to the “third place"! Shopping and entertainment in high-quality architectural surroundings as a recipe for success in a very competitive market? 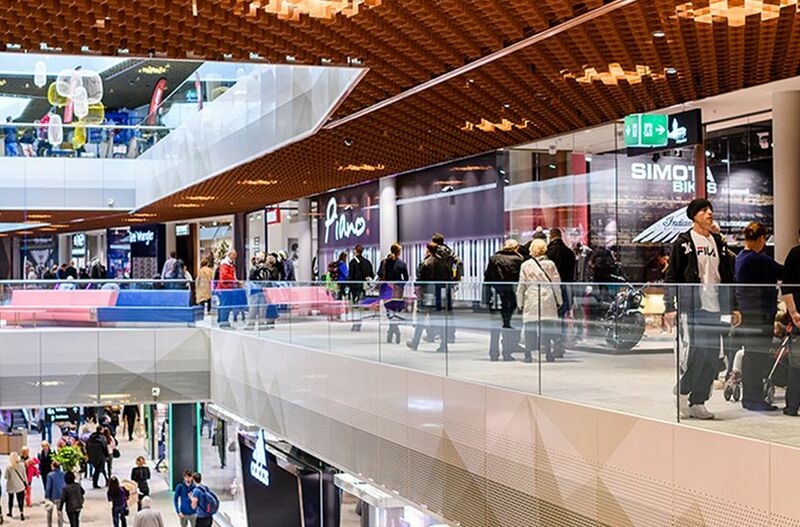 Learn more about the Mall of Switzerland, Switzerland's newest shopping and leisure center. 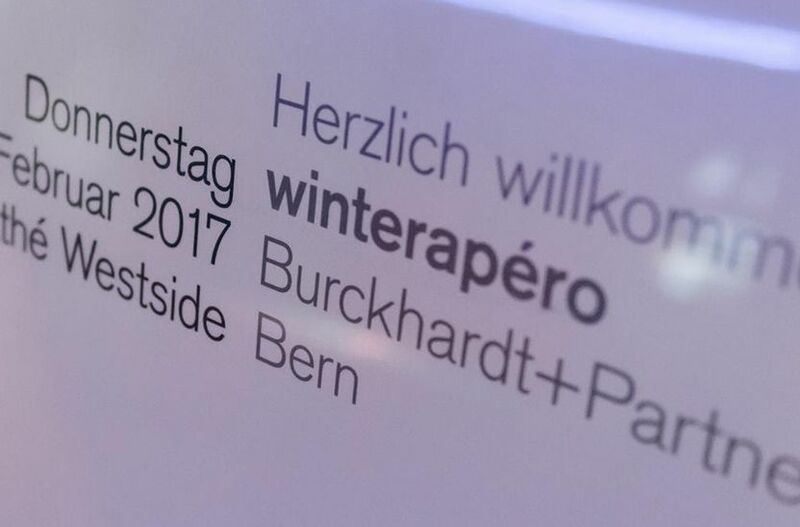 On February 22nd, the team at Burckhardt+Partner Bernewelcomed around 130 guests to the 10th Winterapéro at Cinémas Pathé Westside.After views of icy depths on routes otherwise only known to meltwater, as provided by Dominik Osswald's team of photographers, journalists and mountaineers, there was once again an opportunity for fascinating conversations, as well as personal impressions from the interior of Plaine Morte Glacier through the VR headset. In a procedure conducted according to the German Public Procurement Ordinance (VgV), our Berlin office B+P Reiner Becker has been awarded the contract for "renovation and conversion of the cleanser building" on the site of the former Augsburg-Oberhausen gasworks. The gasworks' so-called "cleanser building" is to be transformed into a place of culture and music, providing rooms for non-professional musicians and visual artists. To this end, comprehensive renovation and conversion work is necessary. We are delighted to have been given this fascinating task! 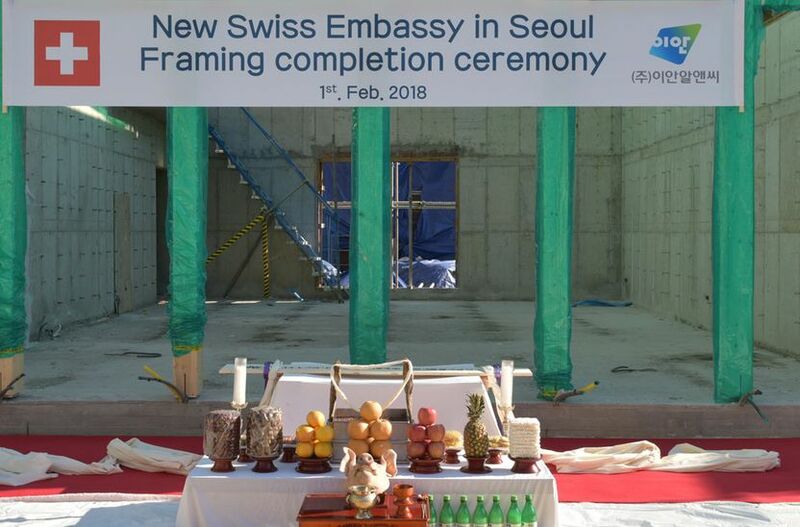 On February first, the "last beam" ceremony was held at our embassy construction site in Seoul. This typical Korean ritual was celebrated in the presence of numerous VIPs, including Switzerland's ambassador to South Korea. 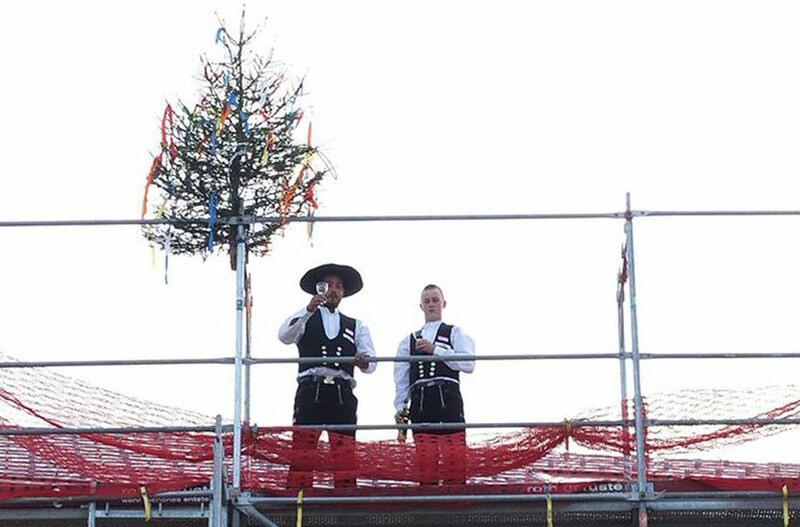 Much like the topping-out ceremonies common in our part of the world, where a tree is involved, the installation of the highest wooden beam marks the completion of the structural work and the transition to the fit-out phase. 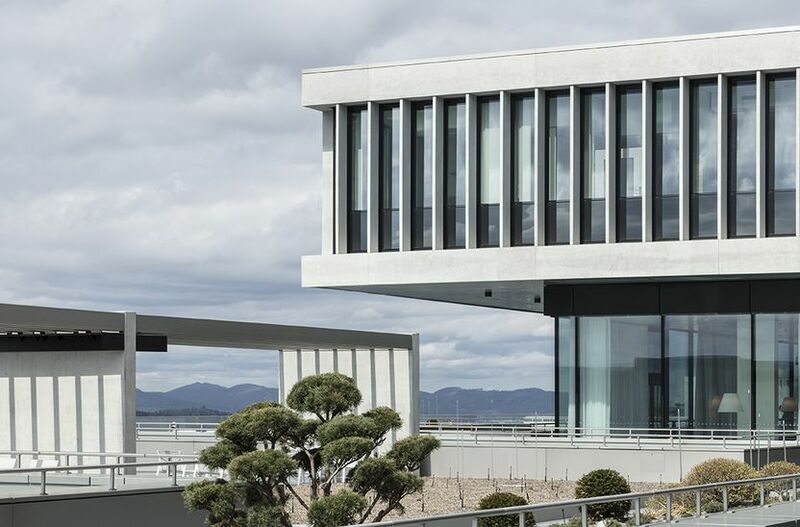 In 2012, our Lausanne office won the open competition for the new Swiss embassy building in South Korea. The construction in Seoul will be completed during the course of this year. 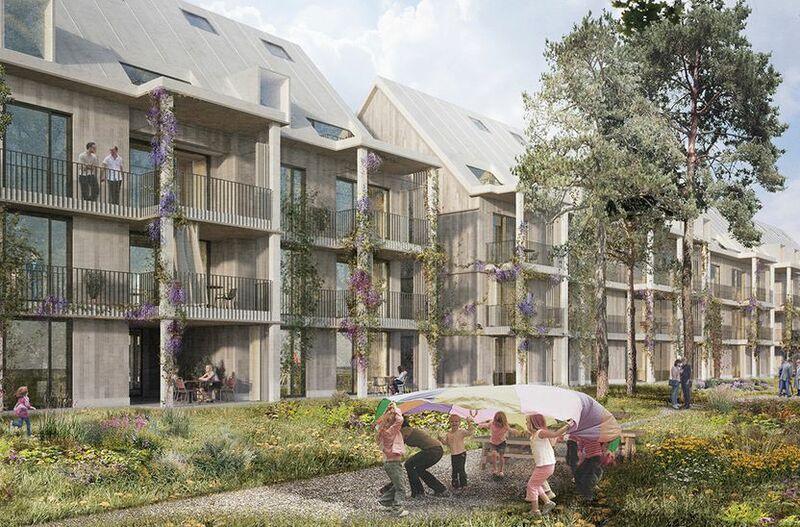 We have been awarded the contract for the first section of the Riburg housing cooperative's new replacement buildings in Lesser Basel (Hirzbrunnen district). A total of 59 family-friendly apartments are to be built from 2019 onward, with 2 ½ to 5½ rooms each and attractive outdoor areas. On Friday, January 26th, we celebrated the inauguration of NEONEON by Jahic/Roethlisberger with around 100 invited guests. 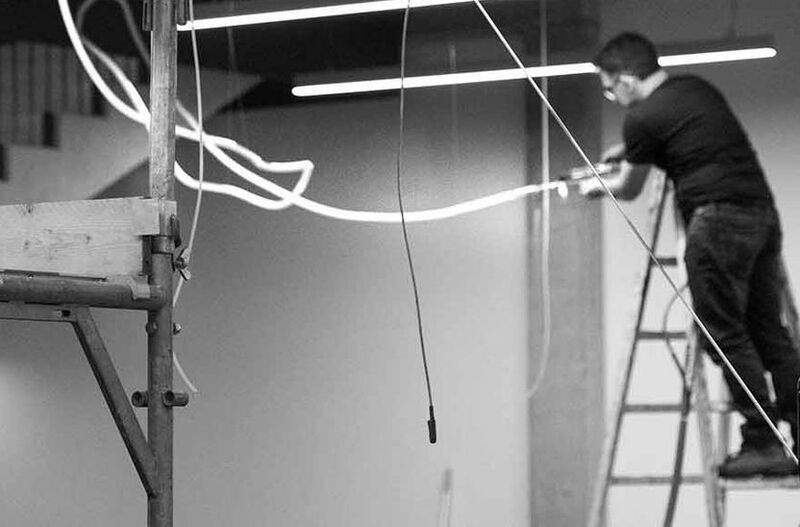 The neon-installation is now displayed permanently on our Basel premises and can be seen during our office hours. The photo album from the preview can be found here, further information in the brochure NEONEON. 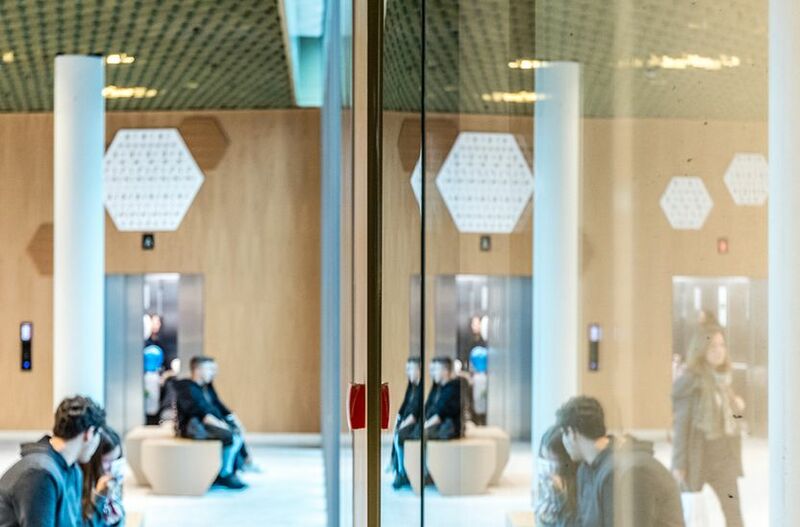 On Friday 1/26, a special kind of event will take place in Burckhardt+Partner's Basel office: we are inaugurating the installation NEONEON by artist duo Jahic/Roethlisberger. This installation was created on site for our entrance zone. We look forward to raising our glasses to it, together with invited guests and the two artists themselves! Jahic/Roethlisberger live and work in Basel. Alongside neon tubes, they work with lines, glass, synthetic resin and, frequently, with contingency. Lecture: "Innovative Hospital Construction – Quality as a Performance Guarantee"
On November 30th in Wiesbaden, the Academy of the Hessian Chamber of Architects and Urban Planners (AKH) hosted a series of lectures called "New Developments in Hospital Construction". 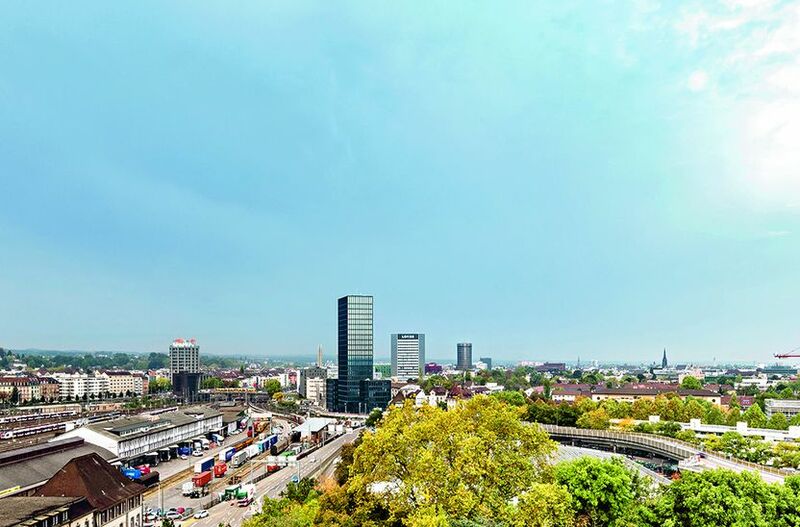 Three high-rise buildings shown on the front of Agenda 97 characterize Basel's skyline: Grosspeter Tower, which was only recently completed, BIS Tower from the 1970s, and the Lonza high-rise, built in 1962. 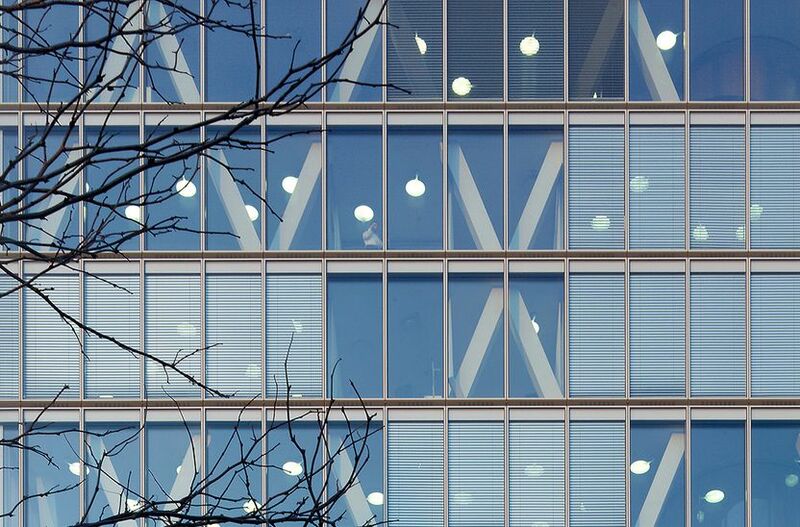 Around 40 years on from the new building for the Bank for International Settlements (BIS), we as the architects behind Grosspeter Tower are now responsible for another striking urban feature. You can learn more about it in the new Agenda. The Swiss Sustainable Building Council (SGNI) is to present the SGNI/DGNB certificate in gold to our project Flor in Uster! The certificate will be handed over on January 17th at Swissbau 2018. Switzerland throughout the entire life cycle – in planning, construction, operation and utilization. The Mall of Switzerland opens on 8th November 2017. It features approx. 65,000 square metres of retail, food and leisure space and is the second largest shopping center in Switzerland. A key aim was to create a unique meeting place for the whole family with a catchment area spreading far further than just the region of central Switzerland. Visitors can enjoy a high quality shopping experience enriched by a variety of fun food and leisure opportunities including the largest IMAX cinema in the country, a 12-screen multiplex cinema, a unique Kids Land based on Swiss themes and developed by leisure specialists The Leisure Way, the first indoor surfing wave in Switzerland and a gym & spa. Another distinction for our Grosspeter Tower: In the competition for the Bavarian architectural award "Building-Integrated Solar Technology 2017", over 100 projects from 26 countries were submitted. Our project made it into the top 10! 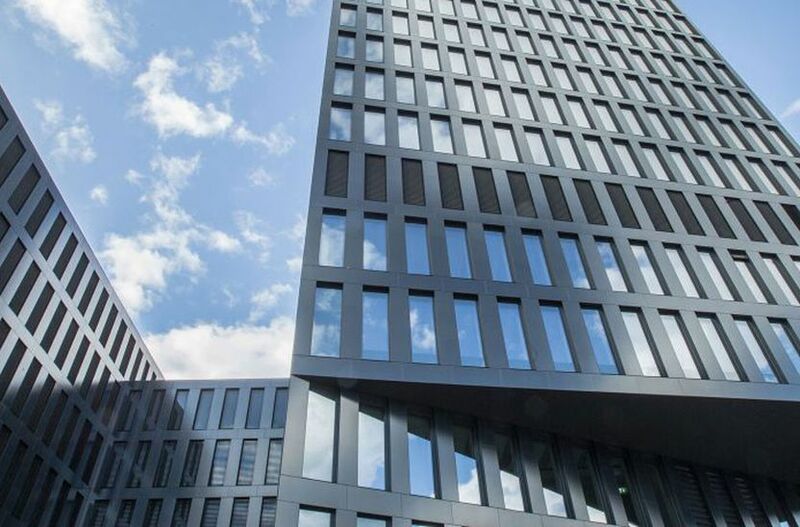 Grosspeter Tower has won a Swiss Solar Prize in the category "New Buildings"! The surface of the tower's facade comprises 450 photovoltaic elements that serve to generate electricity for the building. In Aesch, 14 rental apartments and commercial premises commissioned by the civic community, plus 22 owner-occupied apartments commissioned by our subsidiary AG für Planung und Überbauung, are being built on the Hübeli site. 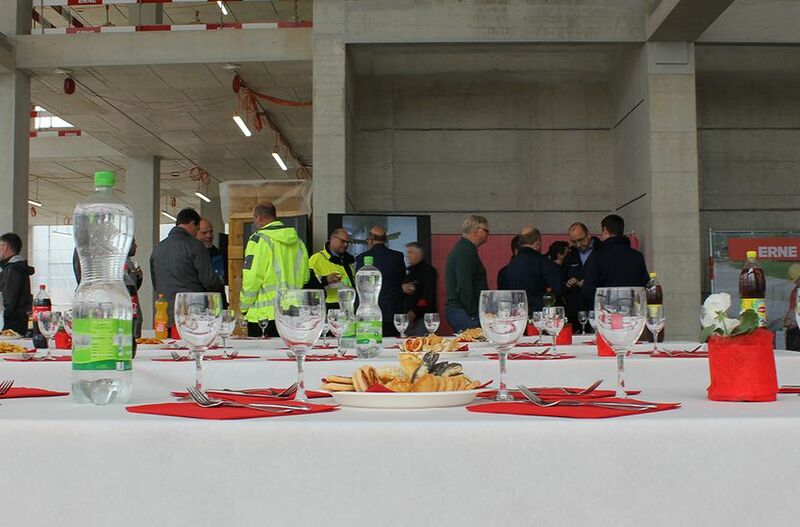 On Thursday, October 19th, 2017, the topping-out ceremony for the new housing development Hübeli was celebrated with numerous guests. We are part of the BIM Camp! 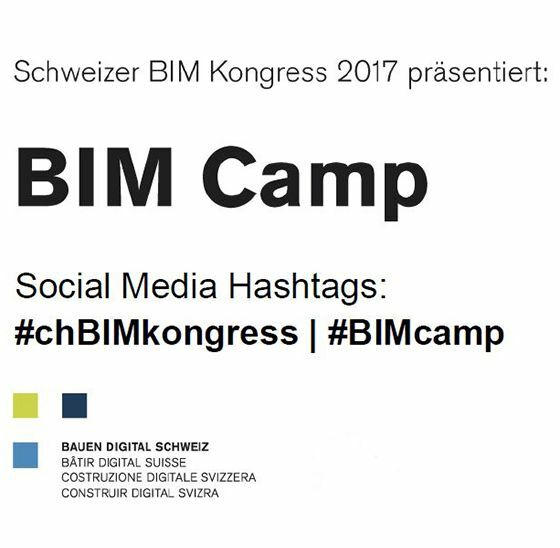 On 27 October the BIM-Camp 2017 will take place in the Maag Event Hall in Zurich. Our BIM-specialists will take part together with our partners from Losinger Marazzi AG. At 5 p.m. they will report on their practical experiences with the benefits of 3D-modeling and information flows in the various stages of the project, using the Cery-project (new laboratory building) as an example. In Gümligen, south of the city Berne, we had the opportunity to attend to a special task: a new building for the International School of Berne. In our latest issue of Agenda, you can find out how we met the specific requirements of this place of learning and work, which serves around 400 pupils from over 50 countries. After just eleven months of construction work, the building shell of our new LSL building was ceremoniously completed today, 9/19/2017. 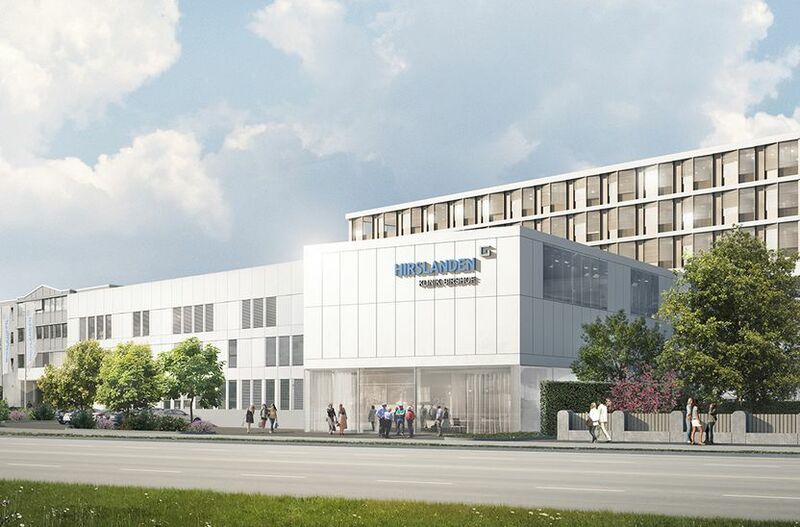 This production building for F. Hoffmann-La Roche AG at the Kaiseraugst site is scheduled to be finished by the 1st quarter of 2019. The process of putting the "Late Stage Development and Small Molecules Launch Facility" (LSL) into operation will then begin. Low-molecular-weight substances will be developed and commercialized here later. 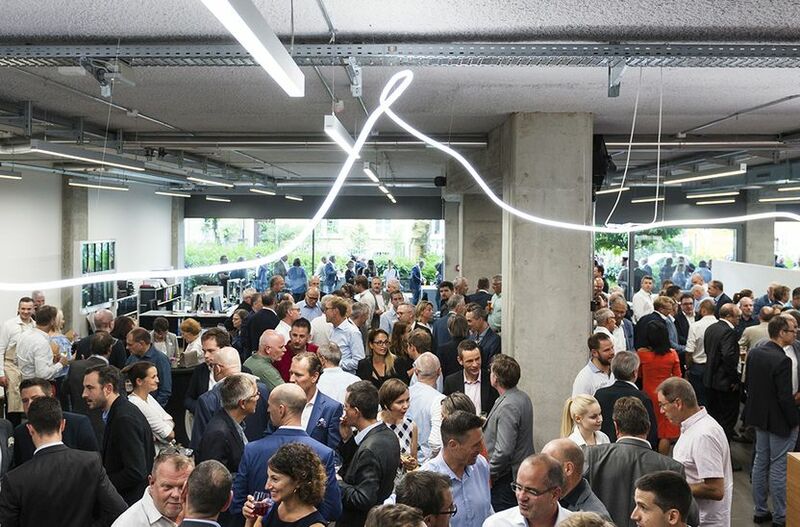 Fascinating conversations and excellent catering were enjoyed in our Basel office at this year's summer reception. Take a look back on the evening by browsing through our photo album. At the «Am Bachgraben» site on the edge of Basel, 68 cooperative apartments are being built. The newly constructed 1-room and 4½-room apartments can be rented from December 1st, 2017, onward. Situated near the open-air swimming facility Gartenbad Bachgraben, the spacious apartments offer magnificent views toward Jura, the Vosges Mountains or the Black Forest. 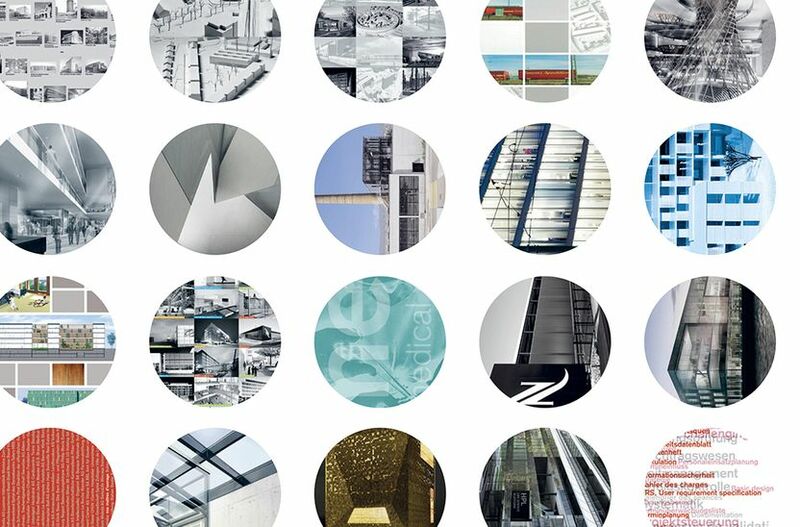 Every Thursday, we take a look at the past with our Instagram-Account: for the #tbt we search the archive of Burckhardt+Partner and present a find out of 65 years of construction actinity – worldwide! 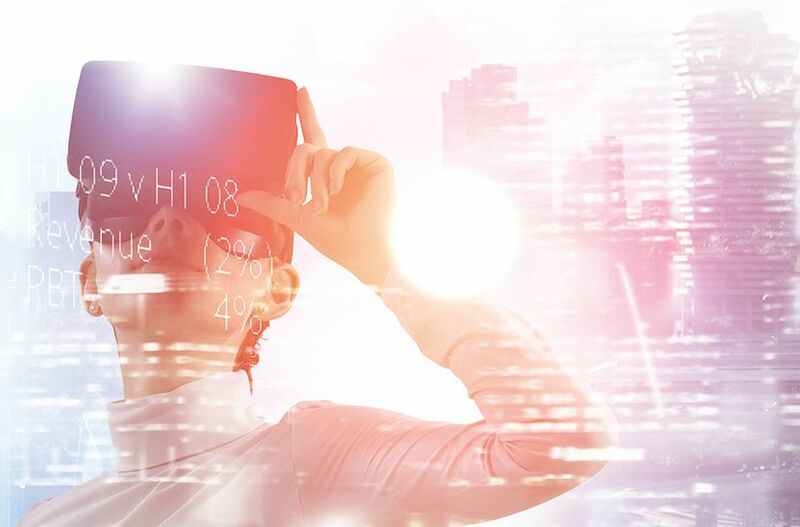 Andreas Mast and Philipp Seer explain how large and small projects alike profit from BIM – and the directions in which the construction industry could develop as digitization progresses. Read more in the Tages-Anzeiger supplement from 7/14/2017 (german only). Staying on the ball and thus remaining attractive in a changing market means looking beyond boundaries – be they geographical or intellectual. At the same time, the local planning culture and the people behind the business are also to be kept in mind. As of January 2017, Burckhardt+Partner AG has a new subsidiary: B+P Reiner Becker GmbH in Berlin. In the current Agenda, Samuel Schultze and Reiner Becker briefly take stock of the first six months of collaboration. We are pleased to share these experiences with you. Grosspeter Tower is the subject of the latest issue of Tec21: "Fassaden - Hüllen mit Hintergrund" (Facades – Envelopes With Background). 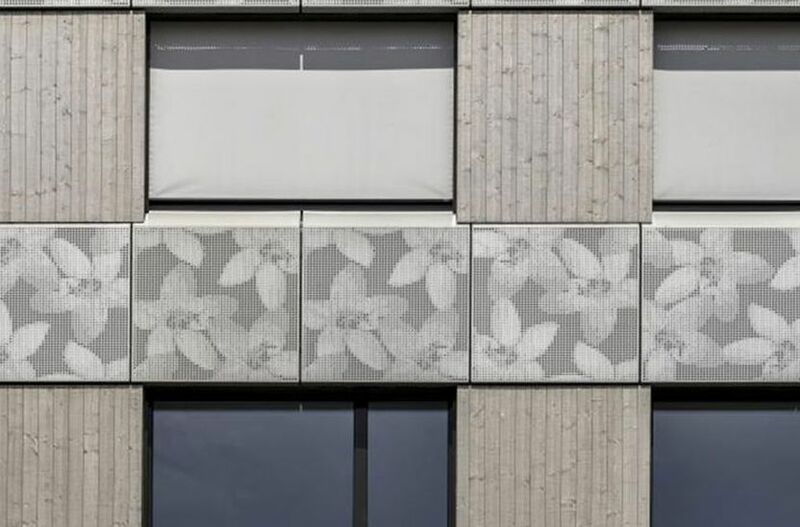 Shortly before completion of our project, author Clementine Hegner-van Rooden sheds light on what its special facade is all about, as well as on the productive cooperation behind the construction of this new landmark at the entrance to the city of Basel. The special issue "FOCUS BIM & Infrastructures" sheds light on the development of BIM in the Swiss construction industry. 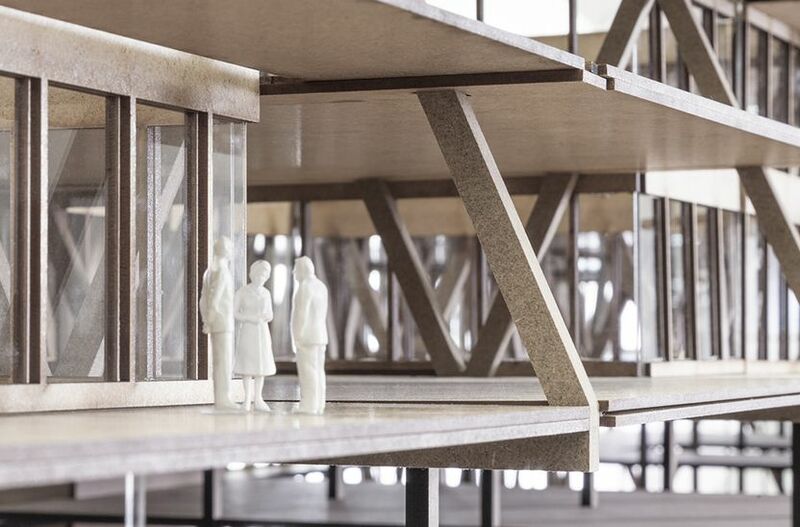 Author Thomas Pfefferlé asked us how day-to-day life with BIM is altering our work processes. Read the article in French here. 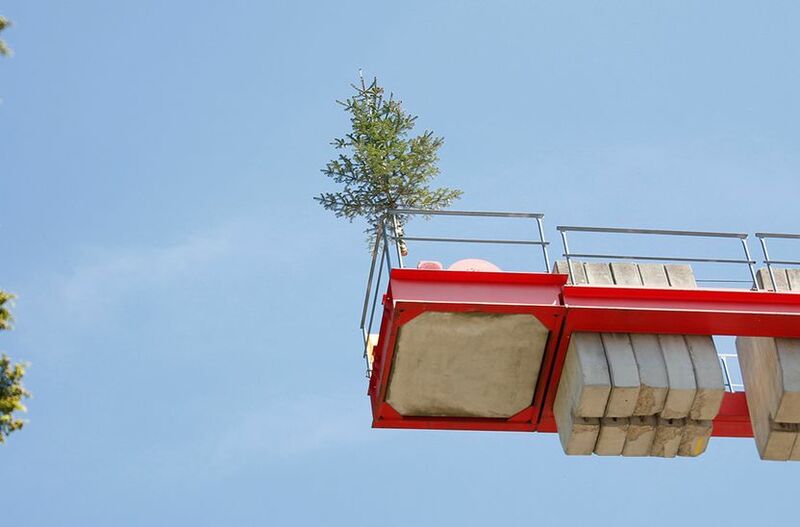 The topping-out ceremony for the newly built section of the Bellikon Rehabilitation Clinic was held on May 23rd. With its five upper floors, the new building harmoniously blends into the landscape, despite its size. In future, it will accommodate the therapy rooms, swimming pool and gymnasium, as well as the 18-bed hospital ward. It is to be handed over to the owners at the end of March 2018. 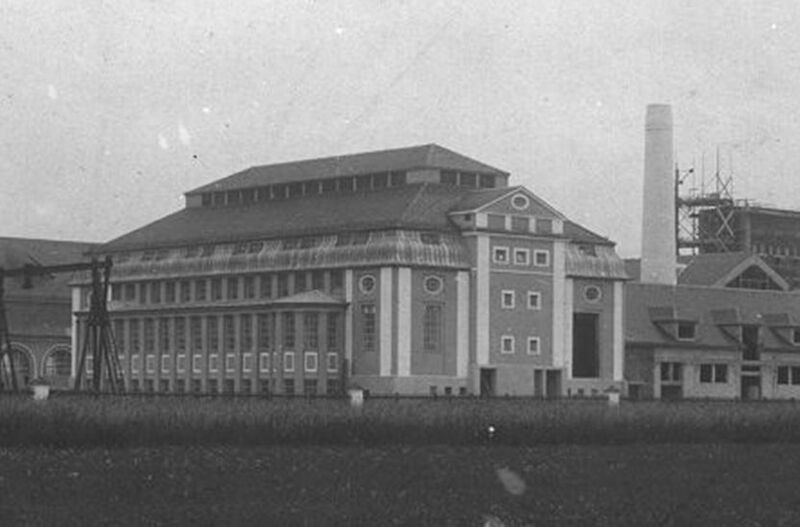 In Pratteln, there are two neighboring sites with enormous potential for development: the Buss site and the Wasa site, which are right beside the railway station and owned by Mr. Hermann Alexander Beyeler. In this newspaper article from 5/15/17, read about how we are helping him to realize his vision for Pratteln. For the first time, we have won a competition together with our Berlin office! The Kiel University of Applied Sciences in Schleswig-Holstein, Germany's northernmost state, is to be enhanced with a new learning center. Before the takeover of our office B+P Reiner Becker, it had already successfully qualified for the process. We have now been awarded the contract, which gets the collaboration with our new subsidiary off to a great start. 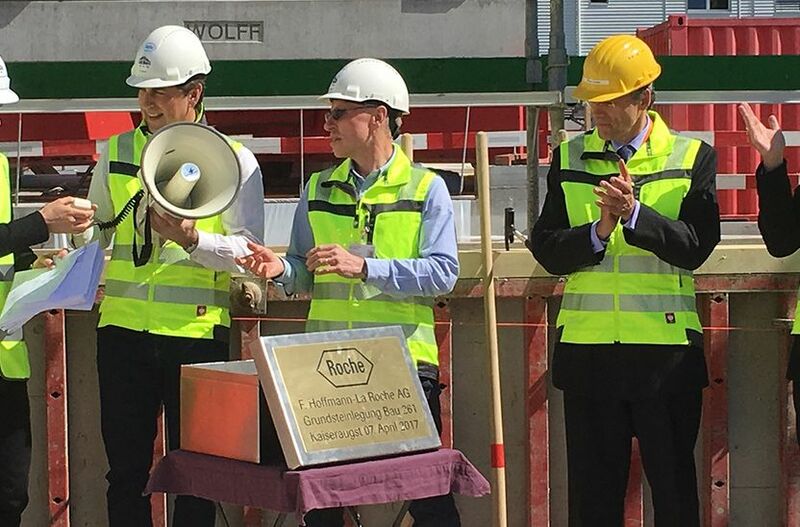 The foundation stone ceremony for the new "LSL" building on the Roche site in Kaiseraugst took place on Friday, 4/7/17. 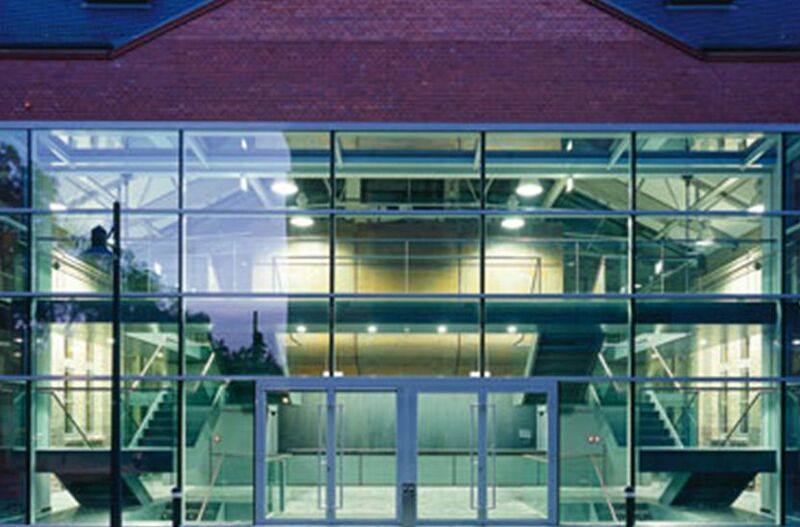 LSL stands for Late Stage Development and Small Molecules Launch Facility – a new production building for rapid development and commercialization of low-molecular substances. Here, substances will be processed into solid dosage forms (tablets and capsules) after completion of the building in 2019. We were comissioned with the new hotel Radisson Blu in Geneva, situated strategically between the citycenter and the airport Geneva-Coitrin. The hotel offers 250 rooms, a ballroom, several state-of-the-art conference rooms, a restaurant with bar and lounge as well as a fitness and spa area. Planning a project that is to be publicly accessible throughout day and night is not an everyday occurrence. The new access zones at Zurich Airport are just such a project. 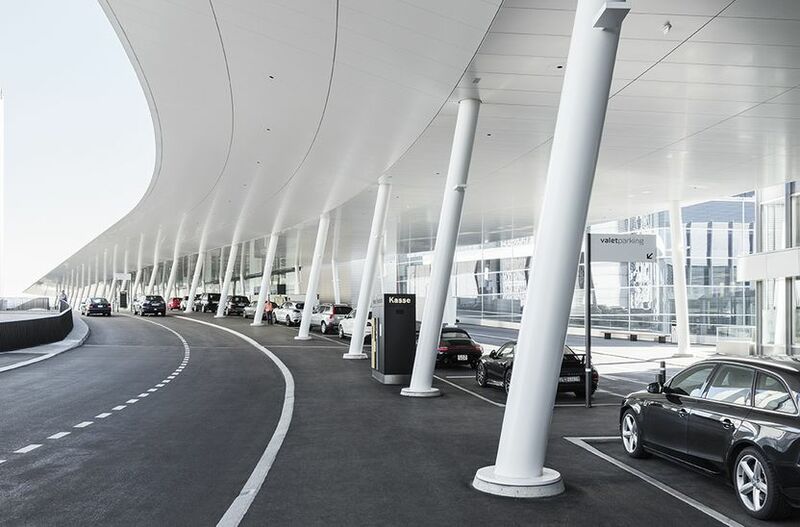 The dynamic wing-like form of the 350-meter-long roof over the access zones conjures up a great many associations with, for instance, past holiday experiences, future journeys, farewells, reunions, or the fascination of flight. Discover the access zones in the current agenda! 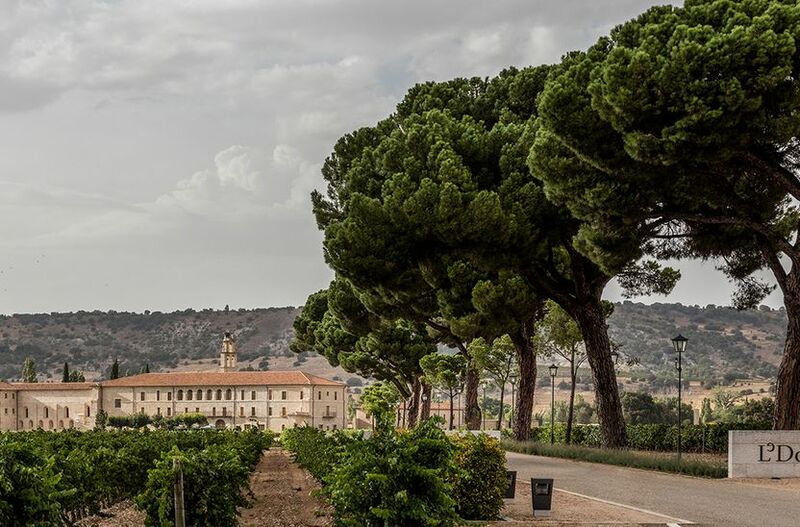 Together with Office Marco Serra, we renovated and converted the former monastery complex Abadía Retuerta near Valladolid, Spain. In cooperation with Diener & Diener Architekten, we also added a spa and wellness area to the 5-star hotel "Le Domaine" that opened there in 2011. Recently, SpaFinder gave this spa and wellness area the "Best New Spa & Wellness Property" award. We are delighted to have contributed to this fascinating project. 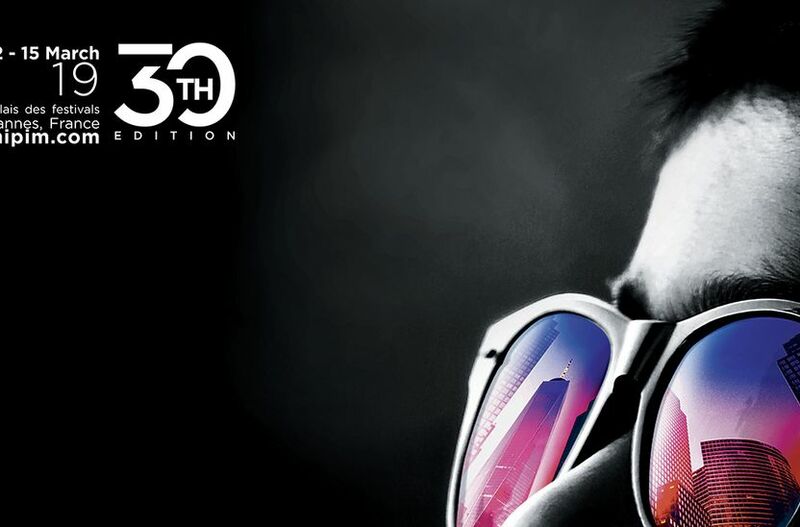 We are in Cannes, France, at the MIPIM - one of the biggest property fairs worldwide. On 23. 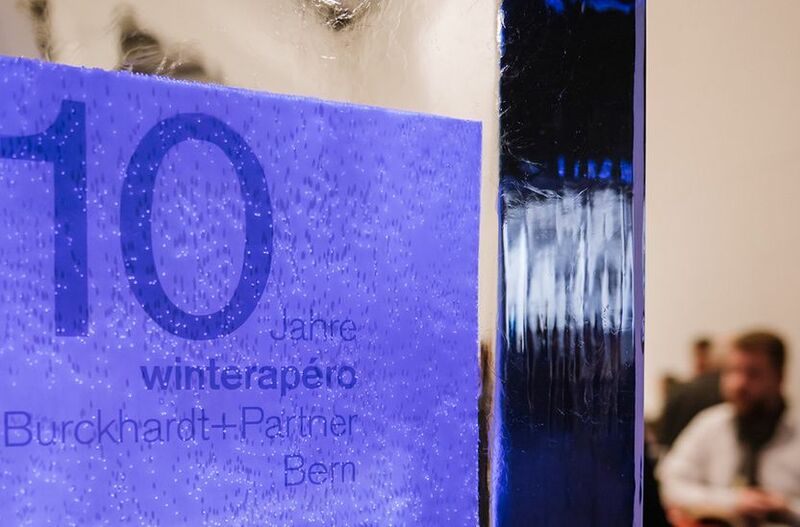 February, the Burckhardt+Partner Team Berne celebrated their traditional Winterapéro with about 100 guests in the Cinémas Pathé. After watching great impressions of the photographer Bernd Nicolaisen there was room for conversation. Enjoy the photos of the evening! As of January 1st, 2017, Burckhardt+Partner AG has a new subsidiary: B+P Reiner Becker GmbH in Berlin. This office, founded in 1993 by Reiner Becker, operates all throughout Germany. Around 30 staff are responsible for the processing of demanding projects, from the competition entry through to when the keys are handed over. 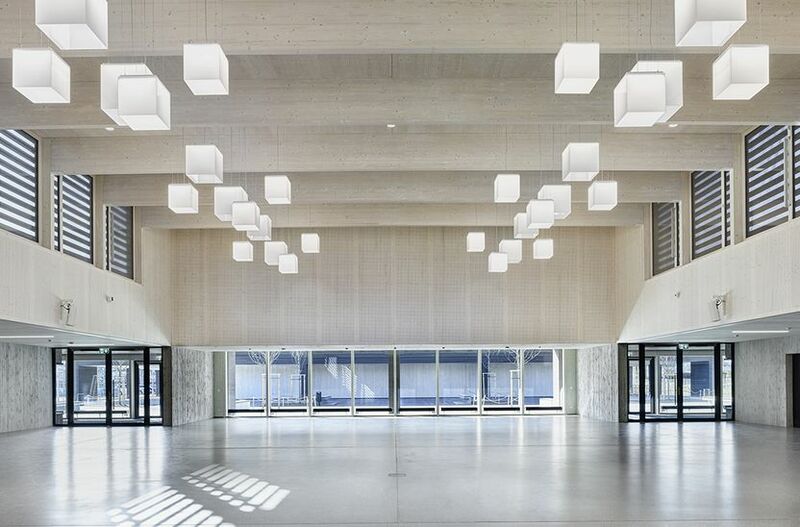 Various prizes and awards, including the Association of German Architects (BDA) Prize for the Brandenburg University of Applied Sciences' Audimax building, are evidence of high architectural quality. We look forward to bringing about further development of this Berlin office together with Reiner Becker and his team.